Mild and flavourful, this is a winner main course dish for parties. 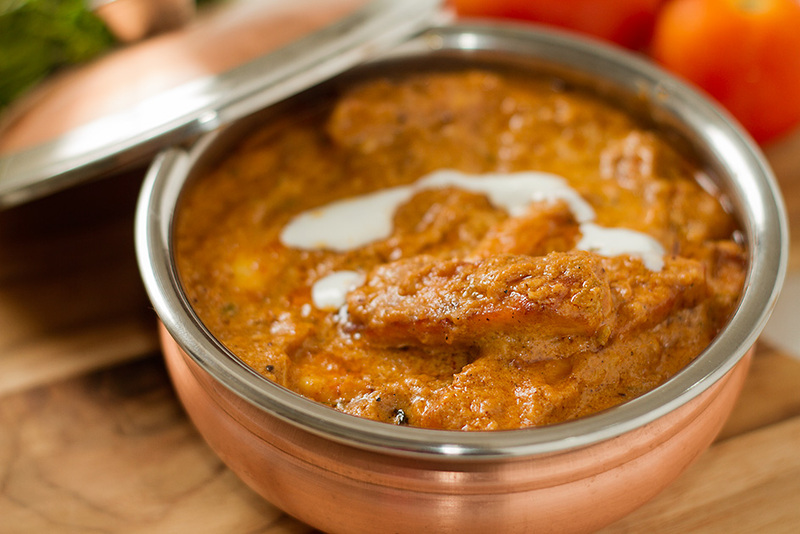 Paneer butter masala or Paneer tikka masala, is next only to Butter chicken when it comes to serving in parties. A favourite with vegetarians, this recipe requires very little effort to cook. No wonder it is one of the most often served Indian recipes. A dish with rich creamy gravy, Paneer butter masala recipe is one of the simplest and can be prepared in several ways. My method however is the one that brings it closest to it’s non vegetarian counterpart, the world famous Butter Chicken. You can skip deep frying the paneer and marinate directly. Frying gives it a crunch while marinating without frying will keep the paneer soft. Paneer is a fresh cheese used in preparation of Indian Cuisine. It is prepared by adding food acid, such as lemon juice, vinegar, citric acid or yogurt, to hot milk to separate the curds from the whey. The curds are drained in muslin or cheesecloth and the excess water is pressed out. The resulting paneer is dipped in chilledwater for 2–3 hours to improve its texture and appearance. From this point, the preparation of paneer diverges based on its use and regional tradition. Anari, a fresh mild whey cheese produced in Cyprus, is very similar in taste and texture to fresh Indian paneer. Farmer cheese, dry curd cottage cheese, and firm versions of quark are similar except that they are made from cultured milk and may be salted. Queso blanco or queso fresco are often recommended as substitutes in the Americas as they are more commercially available in many American markets. Both are generally salted, unlike paneer. Dry roast cloves, cinnamon, mace and black pepper and grind it to a fine paste. Keep aside. In a pan heat mustard oil and fry ginger and garlic. Add 1 tsp garam masala, fried paneer, 2 Tbsp yoghurt and salt. Fry till all the liquid dries up and the paneer is well coated with the masala. Heat butter in a fresh pan, add chopped green chilies fry for a few seconds and add cashew nuts paste. Fry till the butter surfaces. Add cumin powder, red chili powder, ground masala (Cinnamon, black pepper and cloves), garam masala, and fry for a few seconds. Add the blanched and pureed tomatoes along with honey and let the tomatoes loose some of their water content. At this stage also 1 tbsp tomato ketchup. Fry till gravy leaves the side and you see butter starting to float again, add the remaining garam masala and crushed Kasuri Methi. Add salt. Remember to fry this masala very well, the oil should float on top and the colour of the makhani gravy should be nice red-orange. Taste for salt and adjust. After the makhani gravy is well cooked, add the fried paneer tikka to the gravy, let it cook on the stove top for about 2-3 minutes. Switch off the stove and mix half the cream. If you want your makhani gravy to be spicier, you can give a tadka of chilli powder to the gravy. Garnish with swirls of cream and serve with hot nan, chapati or steamed rice. A awesome recipe to try. I will surely participate in the contests on ContestChef.